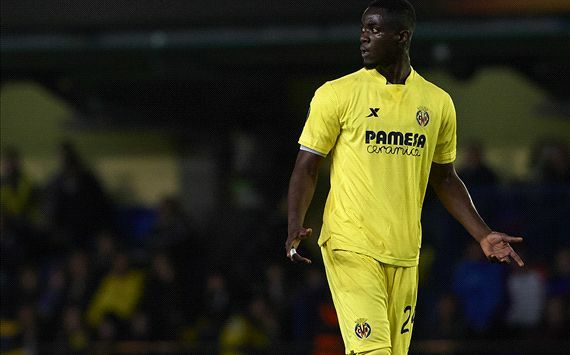 Villarreal midfielder Bruno Soriano believes that Eric Bailly will be a success at Manchester United. The 22-year-old defender, who was part of the Africa Cup of Nations-winning Ivory Coast team in 2015, signed for the Old Trafford side for €40 million this summer. And while many have questioned the substantial fee for Bailly, his former team-mate believes that he will live up to the price-tag. "I think he is a great player and he is a great person. He has a huge potential," he told Goal. "We'll see what he can do at Manchester United, but I think he will be an important player in the future." The Spaniard, who has represented his country on nine occasions and is on duty at Euro 2016, had similar optimism when questioned about La Roja's chances of winning the tournament. "I think we can win it. Let's see what happens game by game," he added. "We'll try to do our best. I think every team respects us and that's very important." Bruno has no concerns regarding Spain's upcoming clash with Croatia after fans of the latter caused late disruption in their 2-2 draw with Czech Republic, when flares were thrown onto the pitch. "No. There are no worries about that. "Our families and friends will be at the game, so we will naturally think about it. But we have to rely on the security in place." Barcelona's Andres Iniesta and Luka Modric of Real Madrid could go head-to-head in the meeting at Bordeaux, though the latter remains a doubt with a muscle injury, both of whom Bruno admires and looks to learn from in the central midfielder role. "Iniesta is Iniesta, we all know what he's about," he said. "He deserves people to talk about him. He is a one of a kind - he has demonstrated this for a long time now, and is doing so in Euro 2016. "Modric is a player who makes the difference for both Real Madrid and Croatia. He has an amazing talent. "I have always watched him, because we played more or less in the same position and you want to learn from him and the other talented people in your role."